During 2018 boxing day sale, we are offering 15% off for this aged ancient Puer tea. The new price will be 220/Cake after January 1, 2019. 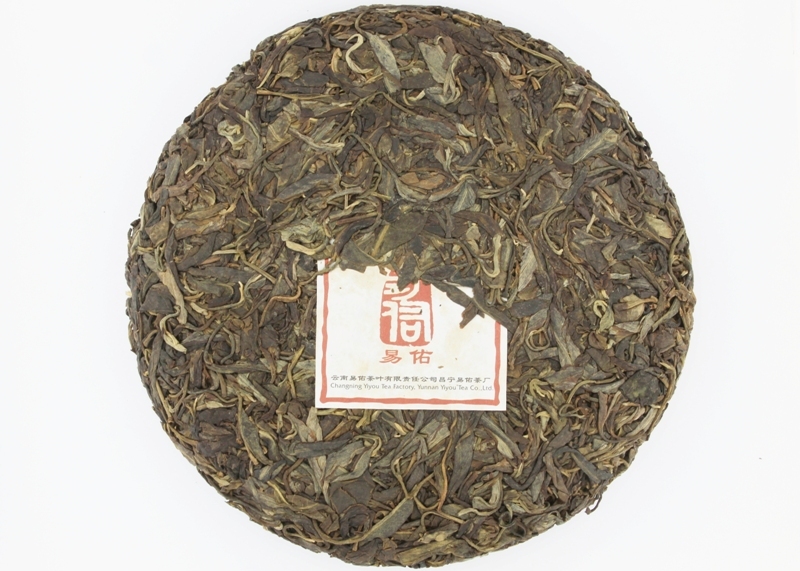 This is the second vintage tea which is aged in Canada and released from Tao’s personal collection. Please check our first one: 2008 Lao Ban Zhang (Sold Out). MangShui is not a commonly-known tea-growing region in the Pu-er tea market, but is a hidden gem well-known by experienced Pu-er tea lovers in China today. 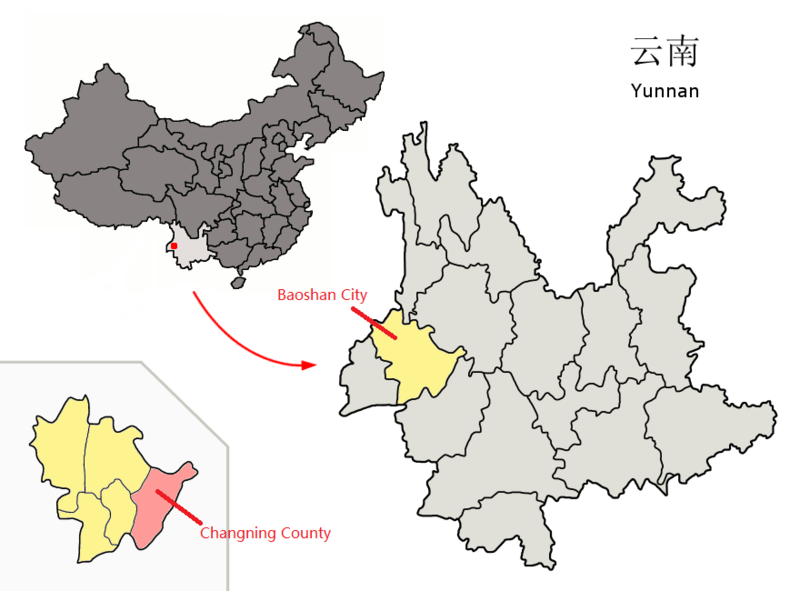 MangShui is a township located in ChanNing County of BaoShan City in the YunNan province of China. BaoShan is located western YunNan, and together with LinCang and DeHong, it is one of the most important tea districts know as YunNan West tea district, famed for its ancient tea plantations. The county of ChangNing is one of the spot along on the Ancient Tea Horse Road. MangShui is known as “Town of Ancient Tea Trees” and “Motherland of ChangNing Tea” because of its high number of ancient tea trees. The highest elevation in ChangNing is 2875.9m and the highest elevation in MangShui is 2348m. The tea from the MangShui area contains the highest percentage of the antioxidant called epilogallo catechin gallate (EGCG)among the tree varietals of tea. 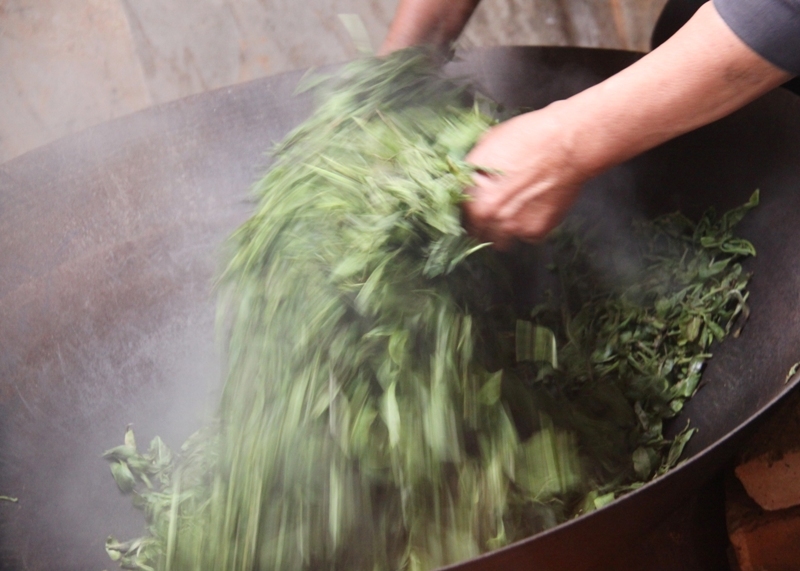 Because of MangShui is not widely popular in the Pu-er tea market, the tea hasn’t been overpicked in the past 10 years. 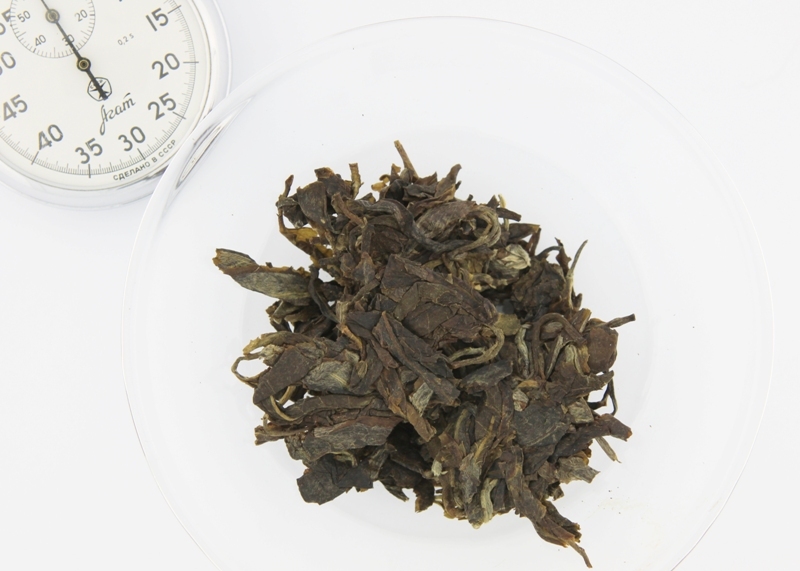 As a result, the quality of the tea remains very high, giving the tea liquor a thick and full body. The unique environment of high mountains with deep valleys, abundant rainfall, plentiful sunshine, and acidic soil gives the tea a very smooth and sweet taste. 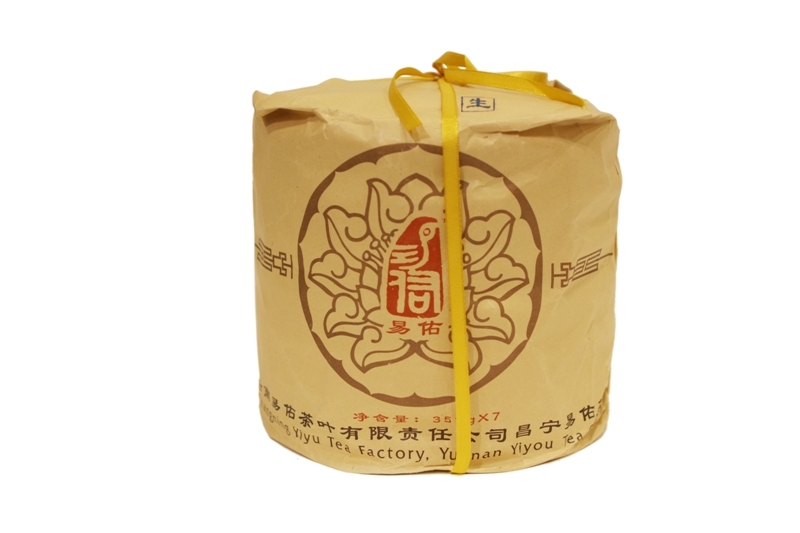 YunNan ChangNing YiYou Tea Ltd was founded by serious tea lover TingYou Zhang on 2006. It has received many awards but the most impressive is the Golden Award from the 2007 ShangHai Tea Expo. This golden award was received in the company’s first year, introducing ChangNing MangShui tea to other tea lovers. 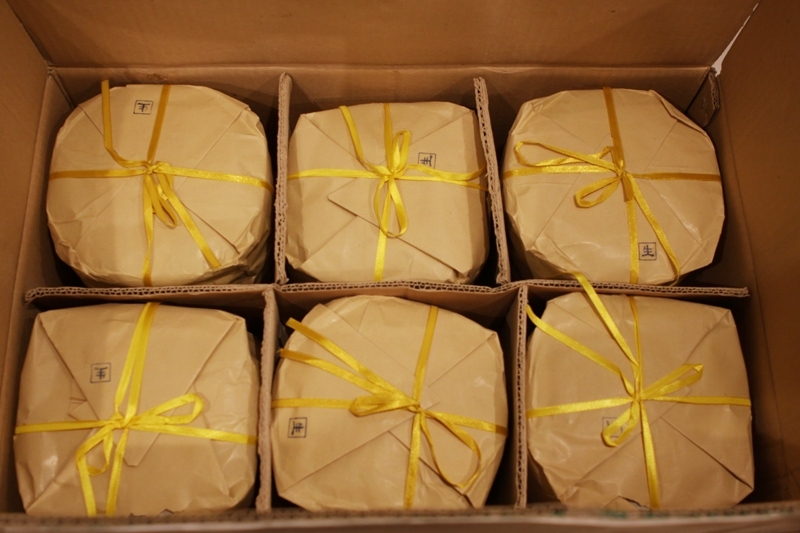 The tea from Tao’s collection is the tea that received the Golden Award at the 2007 ShangHai Tea Expo. Tao brought this tea with him when he first moved to Canada. The tea has been aged in its original packaging for more than 10 years, and is now available as a rare opportunity to experience real Canadian dry aged tea. Tao decided to release this tea when he found YiYou Tea Ltd is selling their first anniversary tea for 28500CNY (5550CAD) for a 3KG cake. As such, Tao wanted to share his tea with other tea enthusiasts in Canada and the US, without the prohibitively high cost. Appearance: Beautifully clean, big and fat bud and leaves. The tea cake was compressed in a traditional way by stone-pressing using a fair amount of pressure but not too tight. After prying a small piece, the tea leaves inside the cake and the on the surface are of a consistent standard (unlike poor-quality tea cakes that use two different grades of leaves for trickery: high grade tea leaves for the surface and lesser quality leaves inside). The buds are light and silvery while the leaves appear dark green and black. Aroma: When smelling the tea cake, it has clean strong dry tea aroma that’s sweet and fruity. 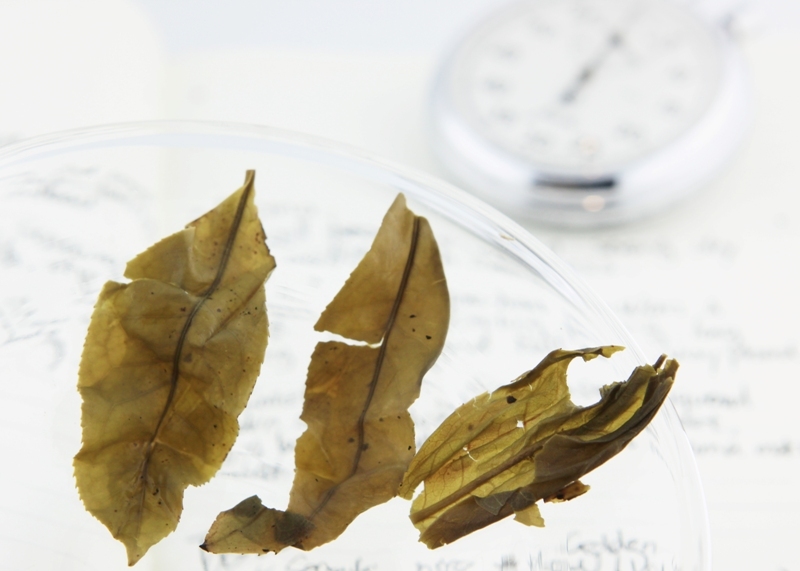 We suggest prying a small piece of tea from the tea cake and loosening the leaves carefully, warming up the teaware with boiling water, putting about 7-10 g of loose leaves into the warm gaiwan, covering with the lid, giving a slight shake, then smell the warm leaves and the inside part of the lid. The sweet smell has a hint of a cooling feeling (similar to menthol), and is long lasting, strong and full bodied, very pleasing. *Keep smelling the tea and lid after each steeping to note the changes. When smelling the steeped leaves, the sweet, long-lasting, and full bodied fruit aroma will make your mouth water. Tea ware: In order to experience the pure taste of the tea itself, we highly recommend using a ceramic or glass teapot or gaiwan. A yixing clay teapot is not recommended for pure tasting purposes, but you can enjoy the tea by steeping with YiXing teapot. Steeping Time: After a quick rinsing of the tea, steep the tea for 50 seconds for the first steeping. For the following steepings:15 seconds, 25 seconds, 35 seconds, 45 seconds, then 60 seconds. Tao himself usually prefers a stronger taste to his tea, so if you follow this steeping time, you will get a full-bodied taste, especially for the first steeping. Please adjust the steeping time based on your personal preference. 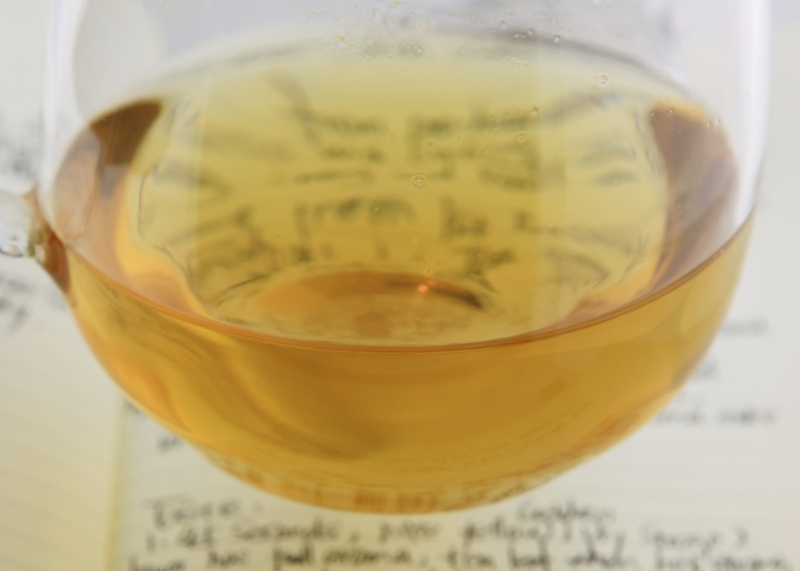 Taste: For the first steeping, the amber yellow golden tea liquor was clear and thick. With the first sip, the tea was very smooth and thick. The taste was quite clean without any unpleasant notes. The flavor was mild when sipping, and had a pleasantly strong aftertaste with a bold tea aroma left in the mouth. 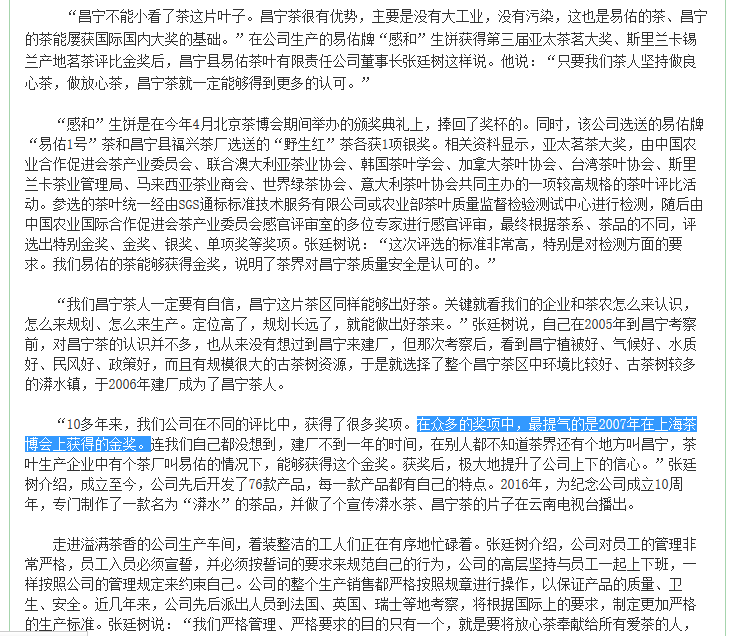 Before Tao tasted the 2nd steep, the aftertaste of the first steeping became very strong, powerful and sweet. The second steeping was very well-balanced, smooth, and thick-feeling in the back of the mouth. Tao felt slightly sweaty after the second steeping. The third and fourth steepings tasted mild but the tea was still very thick and full-bodied, with continued sweating and a long-lasting tea aftertaste in the mouth. After steeping the tea many times until the tea leaves completely opened, it was time to judge the steeped leaves. The leaves were large and whole, and thick with clearly visible veins. Pulling on the leaves slightly showed their strength, and when rolled slightly they didn’t easily break, showing their superior quality. The steeped leaves did have some tiny black spots, which are from traditional kill green method. This traditional method describes the way tea farmers put the wok directly on top of a wood fire. The wok gets very hot and the tea leaves burn a bit, usually giving the tea a hint of smokiness. Even though this tea was prepared in this traditional way, after ten years of natural aging, the smokiness has completely disappeared from the flavor profile. This tea has been aged very well in Toronto for 10 years. The tea aroma and taste is very clean and pure. Because the weather in Toronto is much drier than the Southern part of China, the fermentation aging process is slower than in China. This tea is ready to be enjoyed right now, but you may also be pleasantly surprised if you keep aging it for few more years. For tea lovers new to Pu-er and not accustomed to its bold flavor, raw Pu-er may taste bitter and astringent. 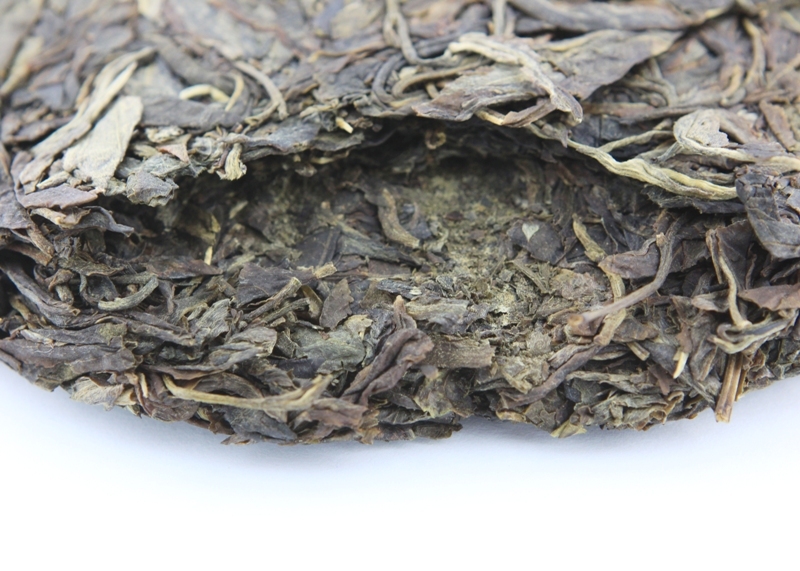 This is a great tea to introduce neophytes into the world of Pu-er with its smooth, gentle and sweet after taste. 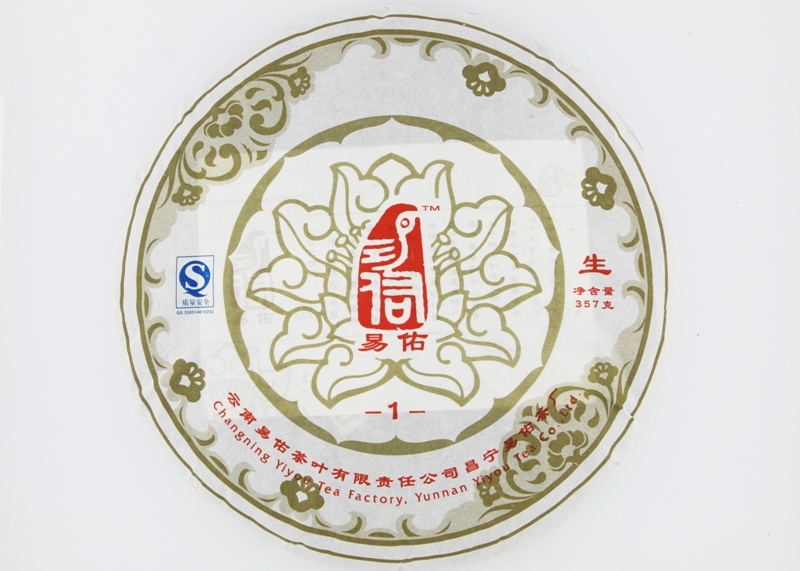 For tea aficionados, this is also a great tea for you to enjoy the “smooth, soft, powerful, long-lasting and sweet aftertaste, sweat feeling” taste of Pu-er you normally will not get from the other Pu-er teas, because in the tea market most teas that are sold have a strong flavor. By contrast, this delicate tea will require more attention and patience, if you lose your patience after first sipping, please wait, the taste and feeling will come after the second steeping. If you are not very interested in experiencing this tea, please don’t purchase it. No hard feelings. We would like to share this tea with people who are looking to experience a unique pu-er tea. This tea will give you an unforgettable experience and memory of good aftertastes and the full-bodied feeling of Pu-er. Due to improvement with age, the price will increase by 10% every calendar year. From Jan-1-2018 the new price is be CAD $198/cake.